One Challenge, two distances, three weeks. Pick your goal and earn your £50 ($65) Reward. Ride 100km between the 14th of February and 6th of March and earn a £50 Reward (or $65 USD) at lecol.cc and unlock the 100 km | 200 km challenge badge. Ride 200km in one activity and you'll be in with a chance of winning £2,000 worth of Le Col kit. "Riding early in the season is all about establishing routine and setting up structure. Getting out there and committing to longer rides puts you in the mindset and on the path to achieve your goals later in the season. And is just as important to get right now as it is closer to your objectives." Every day we'll be giving kit to riders who include #LeColChallenge in the title of their Strava Activities. Be sure to also join the Le Col Strava Club for the latest updates from Le Col. There are three tiers of prizes available during the Le Col 100 km | 200 km Strava Challenge. 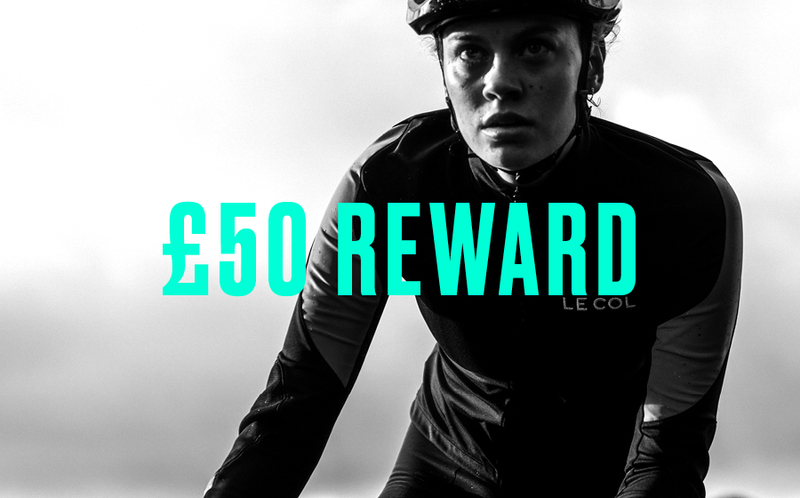 1) Complete 100km over the three week period to earn a £50 Reward ($65 USD) at lecol.cc., valid on any order over £100 ($135) pre-discount (£50 minimum spend). 2) Complete one 200km ride within the three week period and you'll be entered in to a sweepstakes to win £2,000 worth of Le Col kit. 3) Every day we will be giving away kit to members of our Strava Club who publish their rides on Strava using #LeColChallenge in their activity title. Make sure you join the club to be eligible. 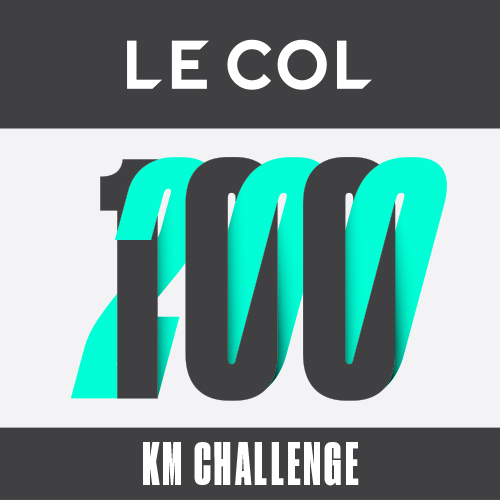 Ride 100km to receive the Le Col 100km | 200km Challenge badge and a £50 Reward (or $65 USD) at lecol.cc.